What is the first thing that guests arriving at your home encounter? It is not the living room, not even the furniture and not even you! The first thing that welcomes any guest at your home is the door, unless you are standing outside in the courtyard desperately waiting for the guests. Hence, it is very important that we have an amazing design for our doors. 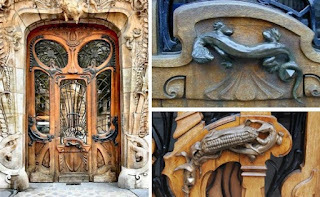 Cool and jazzy designs of doors can add an altogether different charm to your home and who knows, you may be the cause of envy for your neighbourhood. 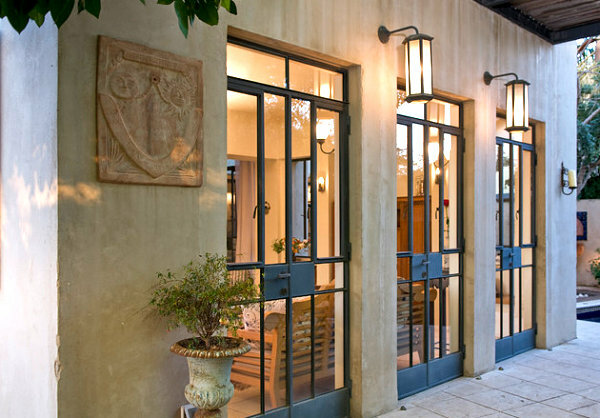 So, let us take you through 10 homes that will show you what a door can be like. How does the combination of metal and glass feel when you think of doors? 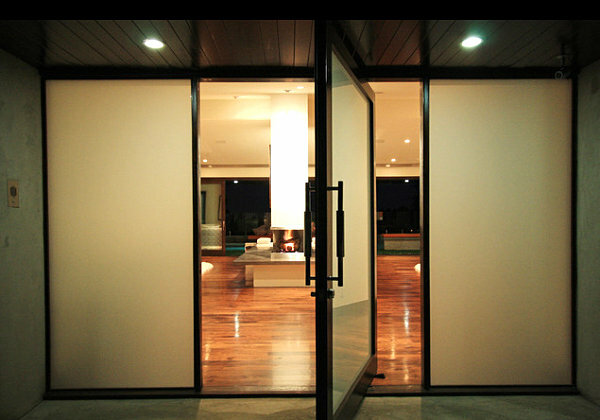 These days, the friendship of metal and glass is being used to protect privacy of people. Metal doors with gaps in between the structure and fitted with glass in those gaps are increasingly becoming a fashion statement these days. These doors are not only sturdy but also give an elegant look to your home. Moreover, it comes with an added advantage. 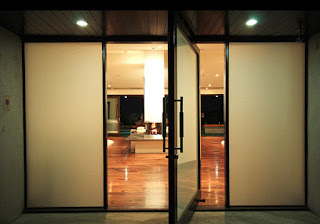 You can peep outside to check for guests, acquaintances and the world without even opening the door. Who knows, it may even help you to safeguard yourself and your family as you will be able to check who has arrived at your home even before opening the door. What if your door takes you back to your childhood and rekindles those memories of the bygone days in your heart? Yes, doors of your home can actually open the door of your past by reminding you of your favourite pastime tic tac toe. 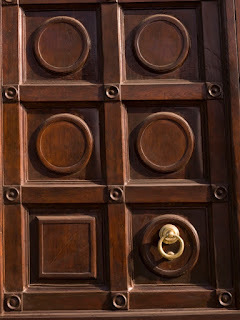 The door shown below has geometrical pattern of wood in which circular discs adorn the square divisions. 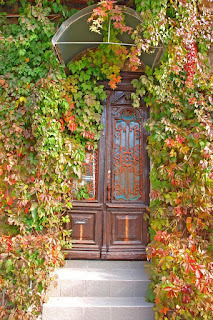 The door not only looks sturdy but also gives the feeling of an authentic door. 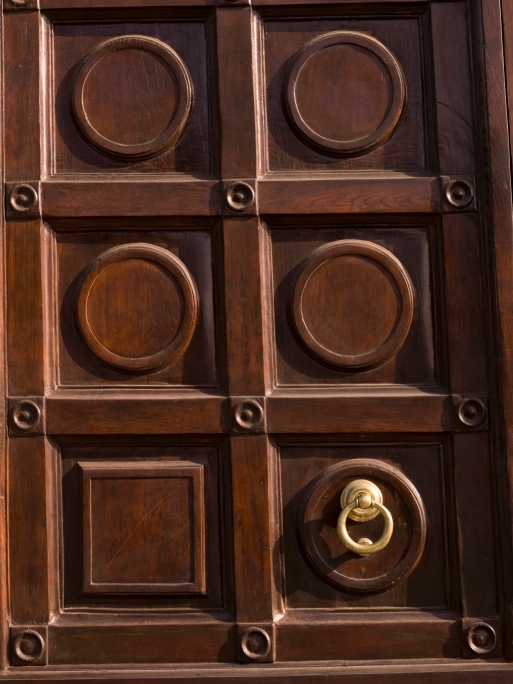 A brass knocker completes the visually appealing design of the door. So, in case you are looking forward to creating an elegant door for your home, which also gives the guest of someone sturdy inside the home, then get this door design for your sturdy home. There can be nothing better than the color combination of peach and brown. 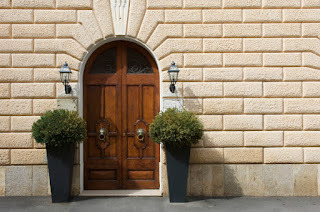 How would it feel if you arrived at your doorstep and you were transported to a posh town in Europe where neatness, cleanliness and beauty are the order of the day? No wonder, it will seem heavenly. But in case you want to create that heavenly experience right at your home, then go for this design of door that is in the shape of an arch. Two lovely planters which are angular in shape and have rounded nature of plants emulate the doorway itself. The rounded arch is another marvellous way to add elegance to your home. The light coloured fixtures add a spell to the beauty. What is the thing that can conduct electricity, has tensile strength and is light too? Yes friends, it is aluminium. The strong metal is a perfect material to guard your home and to boast about the security that it provides to you. 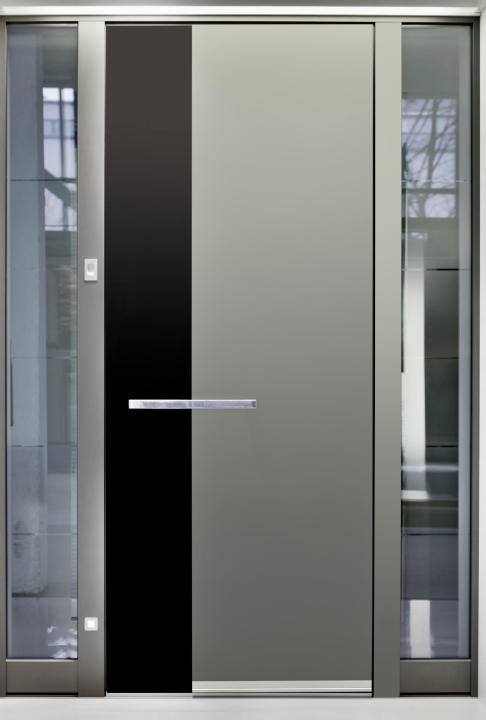 Aluminium doors are increasingly becoming famous for their strength and light weight. 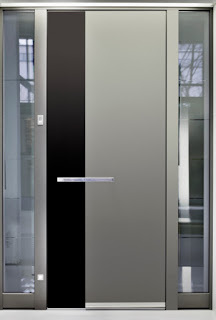 The doors have a sleek and contemporary look and make your home look quite futuristic. What would you say if we fitted a merry-go-round in your home? It may be a good idea for a few days but you would eventually get bored of it, right? But the boredom may never knock at your door if your door is a revolving one. Revolving doors are catching up the imagination of the interior designs across the globe as they are experimenting with this concept of revolving doors at homes. Most often, we find similar doors in restaurants and hotels. But why cannot they be installed at homes, the very place where we live? Revolving doors will add a different magic to the way you will welcome your guests. Try it out before it becomes a common trend. At times, being contemporary is the best option available. It does not have much floss, or any gimmicks but just serves the purpose with grace. Try out these doors made of steel and fitted with glass panes that add transparency and sturdiness to your home at once. 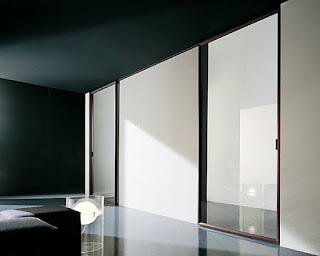 These doors not only take you closer to the outer world because of the transparent glass but also keep you secure from threats because of the strength of the metal. Such contemporary designs are eternal and can be installed at your home so that they give a fresh look to your home every moment, every day. Sliders have always been a favourite amongst interior designers. Just a small push with a twitch of fingers and a world gets opened for you as the door slides. It helps to save space and is particularly fit for homes which have dearth of space. The opening of ordinary door can lead it to hit an article in the home, but sliders don’t occupy space while opening. Rather, they just glide on the floor, serving the purpose and saving space at the same time. Time for a rustic loom for your door. 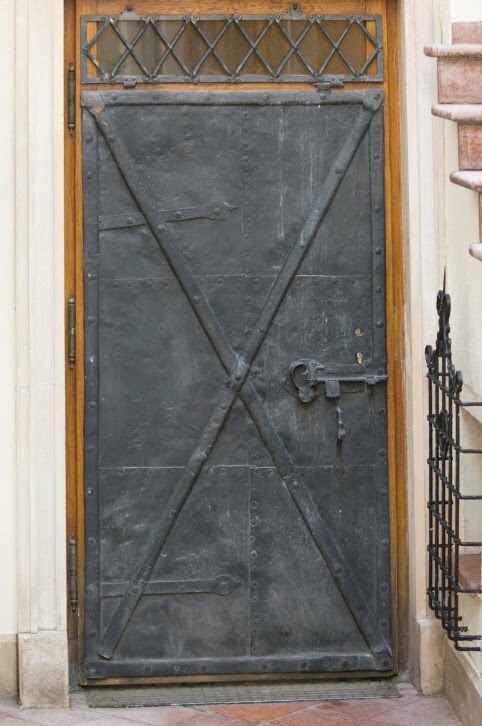 Metallic doors are best for looks, security and show of strength to people. 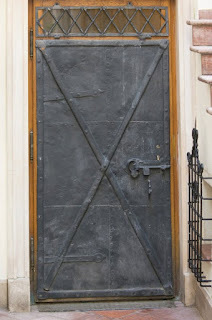 Bring home this old metal door as it can work for every setting. 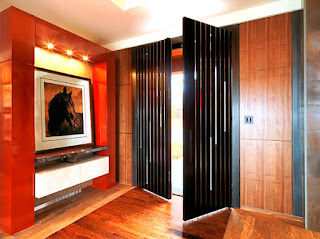 The design of the door adds a mysterious angle to your home and portray that there are a lot of secrets inside. This will make your guests feel interested to visit your home again and again. Avada kadavra! And voila! You will be left dead by the grandeur of this door. This door seems to have come straight from a wonderland or from the world of Harry Potter. If your kids are fans of magical worlds and fantasies, then you know what kind of door you now need to have in your home. Give a feeling to your kids that each time they come home, they are perhaps entering Narnia or Hogwarts! Let's end our journey at the forest by bringing the woods near to our home. Having a lot of plantation, shrubs and trees surrounding the home and partly covering the door not only takes the guests in the midst of nature but also gives you a feeling of being in the lap of nature. 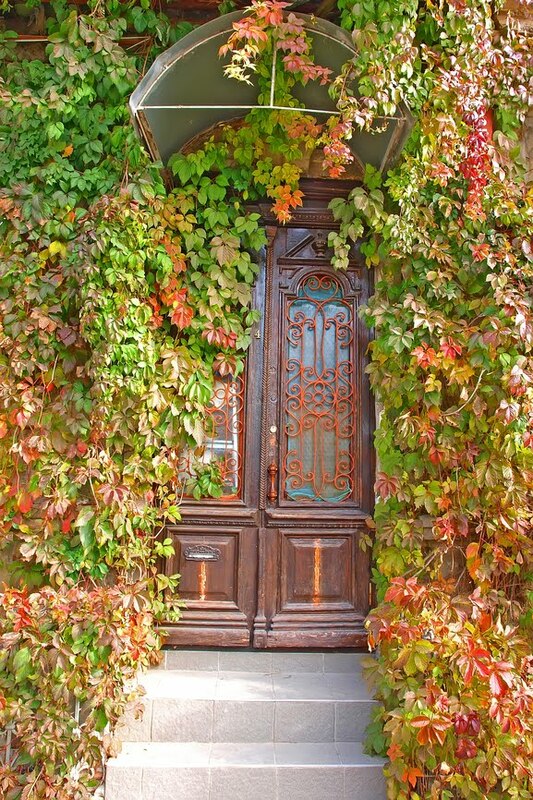 Try it out to give a natural look to your doors and your home. 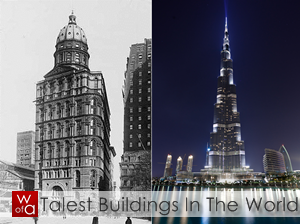 We are sure that you must have loved visiting these homes and being spellbound by the beauty of the doors. Now, it is your time to change too. Go back home and check out how the door that stands as a guard to your privacy can be enhanced and can be made a piece of adoration. Awesome designs of doors are not far-fetched now. All you need to do is to scratch your brain a bit, come up with a cool design and transform your door to the coolest thing in your home. So, are you ready to put the best door forward when we visit your home?